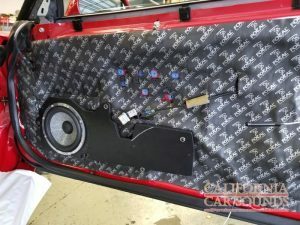 The third stage of the California Car Sounds and Tint process of upgrading your car audio system is upgrading the speakers and adding sound deadening in your vehicle. Once you have an amplifier with integrated digital signal processing and we’ve installed a subwoofer to take care of low-frequency sound reproduction, the last step is to upgrade to a new speaker solution. 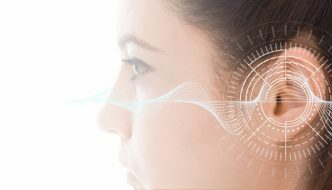 A speaker is the link between your electronics and your ears. 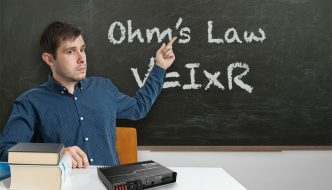 You could invest in the best source unit, amplifier and processing equipment in the world, and the system will still sound mediocre if you don’t have great speakers. 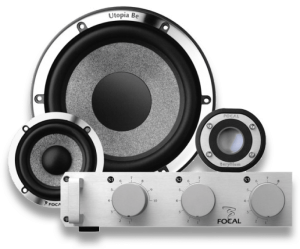 The difference between the flimsy speaker solutions that come with most vehicles and an upgrade to something from Focal or JL Audio improves three factors. First, a high-quality speaker offers smoother and more extended frequency response. As peaks and dips are removed, thanks to higher quality designs and materials, your music will sound closer to the original recording. Second, an aftermarket speaker produces less distortion than its factory-installed counterparts. Distortion is, in a nutshell, getting more out of a device than you put in. All you want to hear is your music, not the addition of harmonics and other distortions. Finally, an upgraded speaker system can play louder and handle a lot more power than what comes from the factory. Because of larger voice coils, improved designs and advanced materials, you can make use of the extra power available from an upgraded amplifier to listen to your music at whatever volume level you choose. Integrating new speakers into your vehicle can be more complicated than most people think. If your car or truck uses an oval or extremely shallow speaker, we may need to fabricate mounting adapters or spacings. We use plastics for all of our spacers and adapters to ensure that they are impervious to damage from water. Each speaker is mounted securely so it can perform at its best. One item that many shops overlook is the addition of high-quality sound deadening materials when installing a new speaker system. Sound deadening reduces the ability for noise outside the vehicle to enter the cabin and drown out the quiet passages and detail in your music. Deadening, when installed properly, also serves to transform your doors into a speaker enclosure, dramatically improving the performance of the speaker system you have chosen. Upgrade Your Mobile Sound System Today! 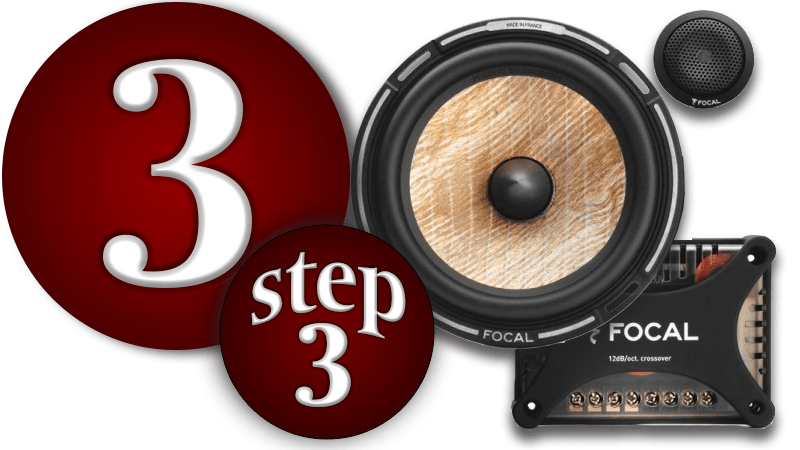 We thank you for reading through our Amplifier and Subwoofer articles and, of course, this article on upgrading your speakers. Our three-step process for enhancing the performance of your mobile sound system ensures that your music will sound as lifelike as possible and can transform a mundane commute into an exciting musical adventure. Whether you choose to perform all three stages at once or take things one at a time, the sales and installation teams at California Car Sounds and Tint near San Jose are here to assist you in any way we can. Drop by our store and speak to one of our product specialists about the best way to start your car audio system upgrade today! You can also reach us by phone or by e-mail using our online contact page for more information about any of our products or services.